Jinny Beyer’s signature border print fabric works overtime to give this quilt big impact. The border print stripes are used three ways: they are fussy cut to make the star points, cut into triangles to form the alternating and setting blocks, and used to frame the quilt with Jinny’s foolproof, no-math method of mitering corners. 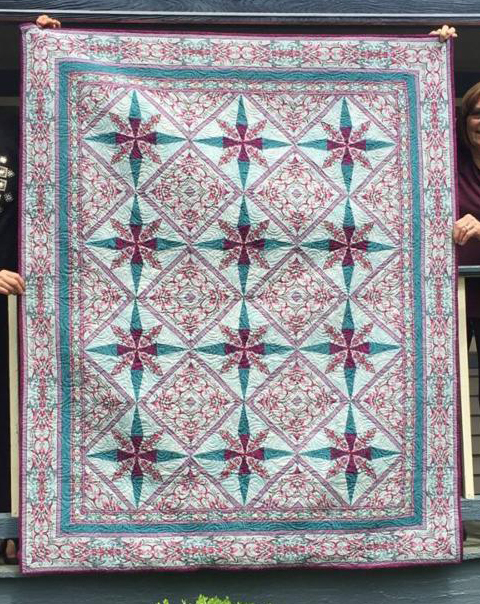 The High Tea Quilt designed by Jinny Beyer, The Pattern is available for free.